Make this upcoming Mother’s day unforgettable for your mother with beautiful gift hampers and personalized gifts. Use coupon code MDGBM25 and get 25% off on all mother’s day gift items. 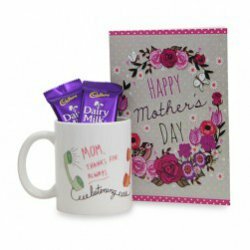 So don’t miss the offer, be quick and pick a special gift for your mother and appreciates her for all the contribution and efforts she has made to shape your future.